The mainstream media’s ability to add 1 and 1 and get 5 never ceases to amaze me. The latest example of this is an article from CNN entitled “Anti-vaccine groups blamed in Minnesota measles outbreak.” The article is peppered with so many misleading and one-sided statements that it is necessary to break it down and examine each assertion individually. The article reports on the fact that there has been a measles “outbreak” in Minnesota in the Hennepin, Ramsey and Crow Wing counties. As of May 9, 48 people had been affected, 41 of them Somali-American, with 45 not having been vaccinated. 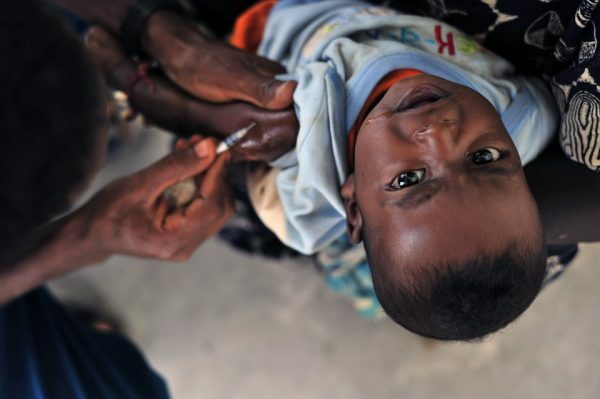 The problem, according to the article, is that there is widespread skepticism about vaccines in the Somali community. The reason for this, it should be noted, is that in 2008, parents in this community started noticing that a “disproportionate” number of their children were being diagnosed with autism. Our friendly mainstream journalist then goes on to say that this poor community has fallen victim to anti-vaxxers like the “discredited” Dr. Andrew Wakefield, who was one of the first to publish literature regarding the link between the MMR vaccine and autism. Though the scientific community basically threw him and his work under the proverbial bus, claiming that his work was flawed, Health Impact News reports that his work has subsequently been replicated in at least 28 other studies! And it’s important to note that no court of law has ever won a case against Dr. Wakefield. And even if you want to leave the now controversial Dr. Wakefield out of the equation, what about the eminent scientist who was granted official whistleblower status by President Obama, and who still maintains his position as a senior epidemiologist at the CDC, Dr. William Thompson? Dr. Thompson co-authored a study on the MMR vaccine back in 2004. In that same year, he sent a letter to then-CDC director Julie Gerberding expressing his concern that a link between the MMR vaccine and a staggering 340 percent increase in autism risk for African American boys receiving the vaccine under the age of 3 was being concealed by the agency. Again, this dovetails perfectly with the fact that so many presumably African-American Somali children were being diagnosed with autism until they stopped vaccinating. Interestingly, Julie Gerberding is now president of Merck’s vaccine division, and the CDC purchases $4 billion in vaccines from vaccine companies, including Merck, each year. Anyone else struck by the glaring conflict of interest here? So, the public is being fleeced of hundreds of thousands of dollars by these vaccine skeptics who refuse to vaccinate their kids? Well, what about the millions of dollars awarded to parents of vaccine-damaged children by the government’s Vaccine Injury Compensation Program (VICP)? Where did that money come from, if not from taxes? And why does such a program even exist, if the government and its agencies are truly convinced that vaccines are the salvation of man and don’t cause any harm? In 2013, one-in 50 children was diagnosed with autism. The mainstream media can vilify people like Dr. Thompson and Dr. Wakefield all they want, but the fact is, vaccines really are linked to an increase in autism, and the American people are starting to finally wake up to this fact, despite the incessant media lies.